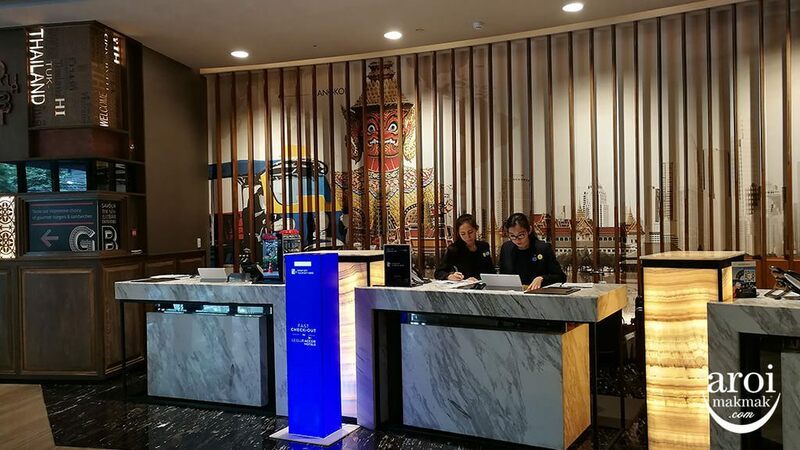 Home/Bangkok/Food/CU Latte – Drink Coffee and Make Merit! 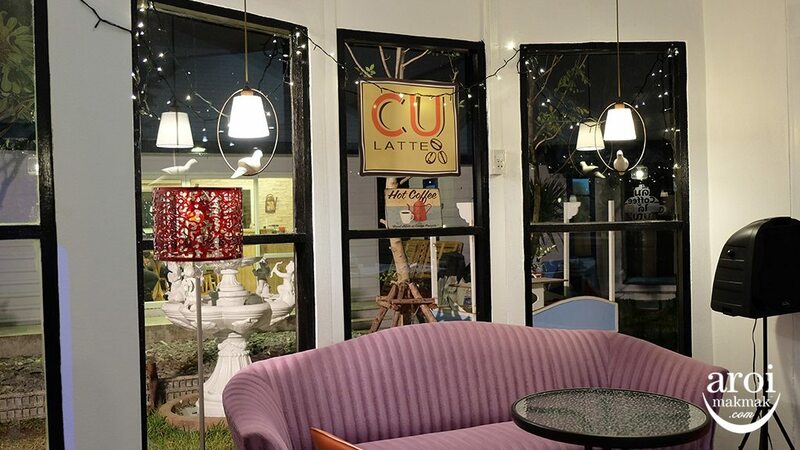 There’s a new little “hidden” cafe in Bangkok called CU Latte and I think more should know about this place! 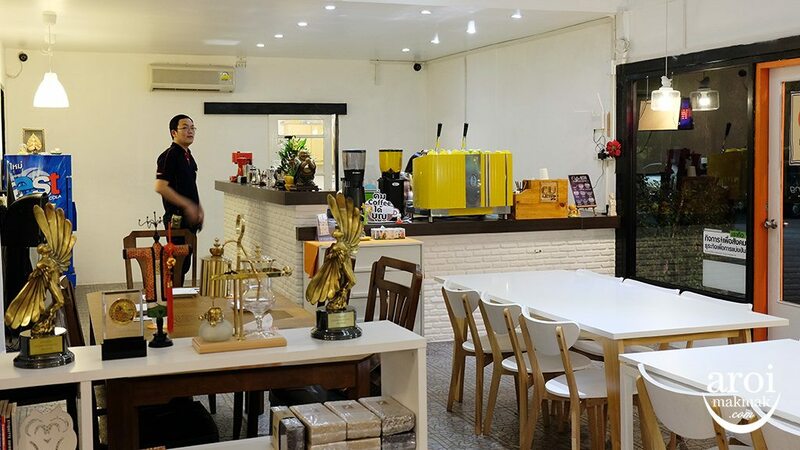 It’s a social enterprise cafe supported by Singaporeans. 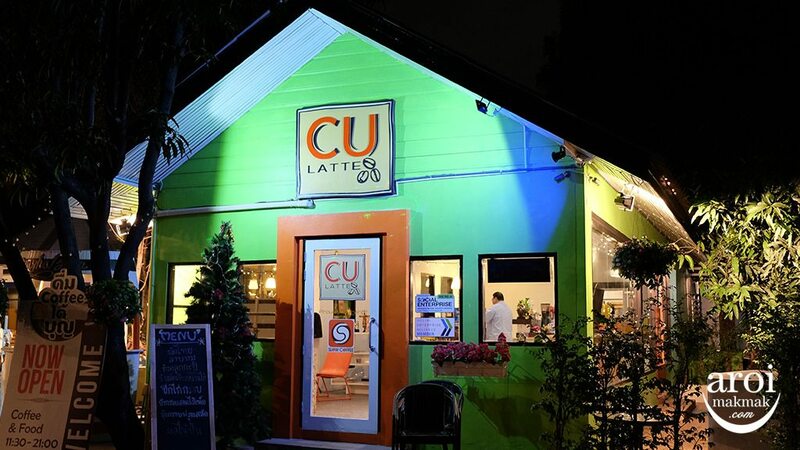 CU Latte is located in “Wang Thonglang” serving Single Estate Arabica Coffee from Chiang Rai. 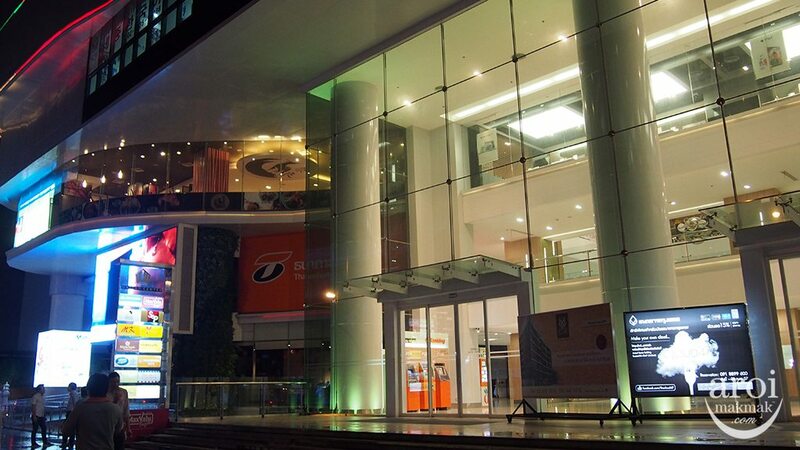 It also serves Thai fusion dishes. 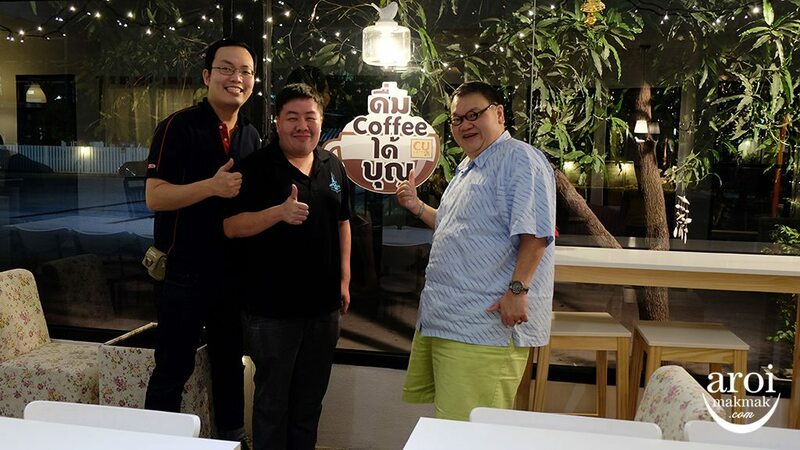 I invited Eddie Yi who blogs at Stranger in Bangkok along to enjoy some good coffee. Eddie is a Singapore-born Malaysian and has been living in Bangkok since 2009. 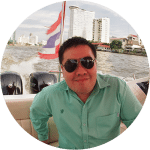 He blogs about his personal life sharing his experiences and some of his favourite places in Bangkok, from a family man’s perspective. 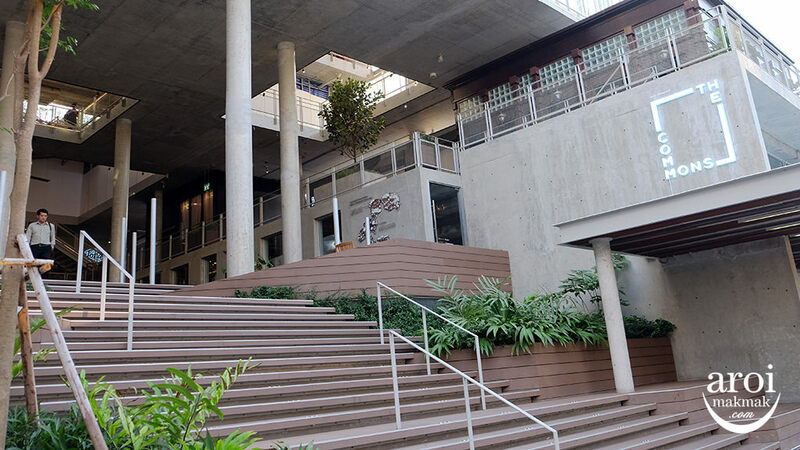 CU Latte might not be classy like Starbucks but its founder, Gordon Tan see it as a space for sharing: Wealth, Knowledge and Friendship. 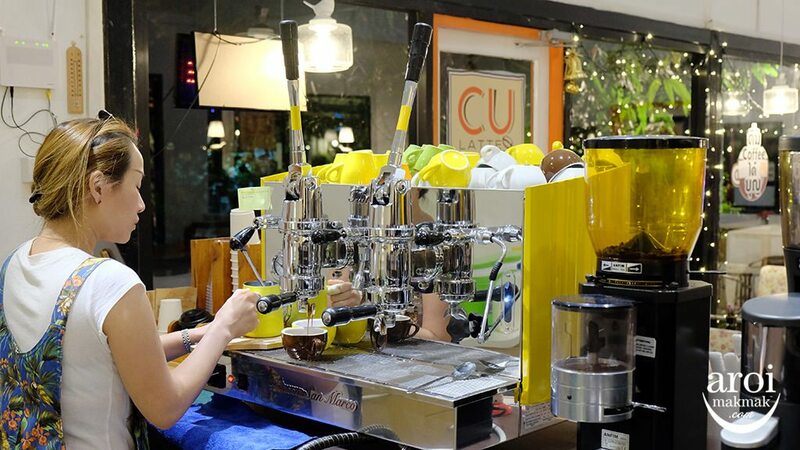 Our latte being prepared by barista Khun Yammie. 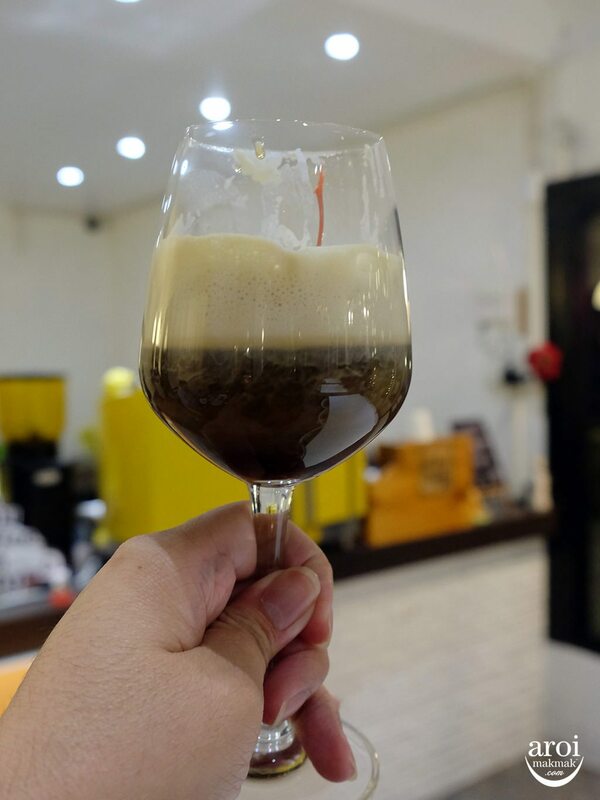 Trying CU Latte, with coffee beans from Doi Phahi in Chiang Rai. 9% of coffee sales goes directly to the farmers and their community to help improve their lives, harvest and working conditions. 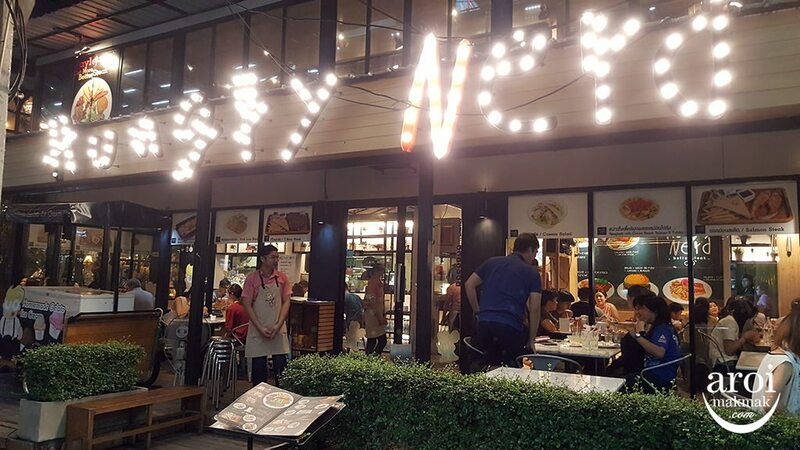 It’s also the first cafe in Thailand to gain the recognition of The Social Enterprise UK and the Social Enterprise Alliance USA. 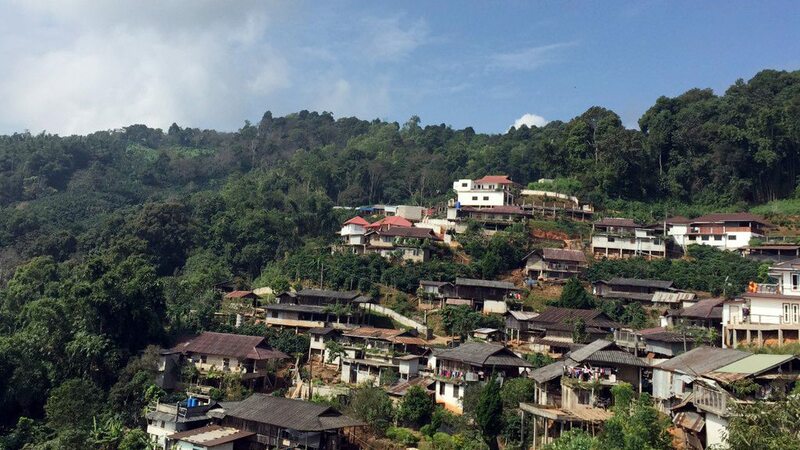 Beautiful Single Estate Phahi Coffee Village. 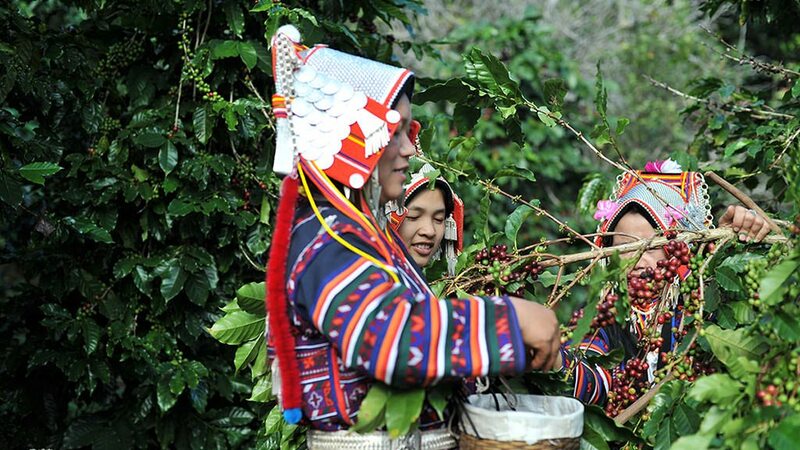 Phahi Hilltribe Ladies Hand picking coffee berries. 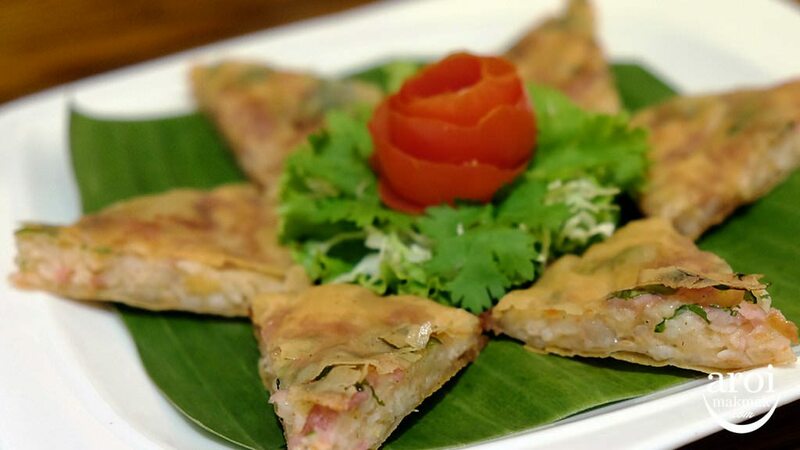 Other than coffee, they also serve Thai fusion dishes prepared by the chef from Isaan province. Price ranges from 99 to 129 baht. Mushroom Sandwich. 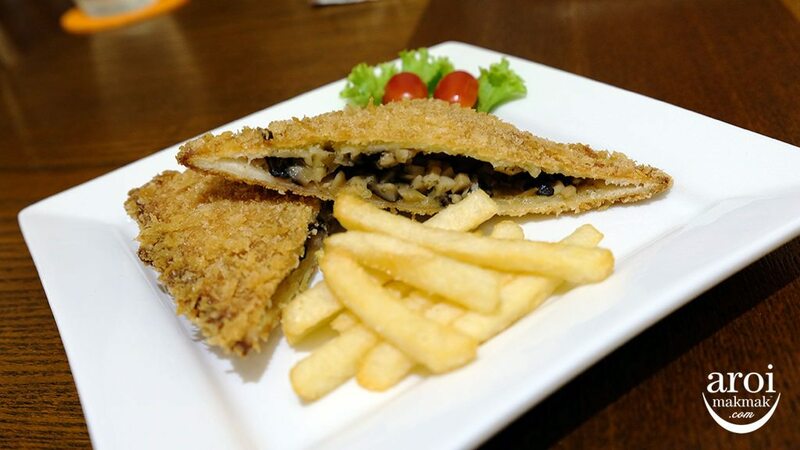 Looks simple but the mushroom filling is really good! 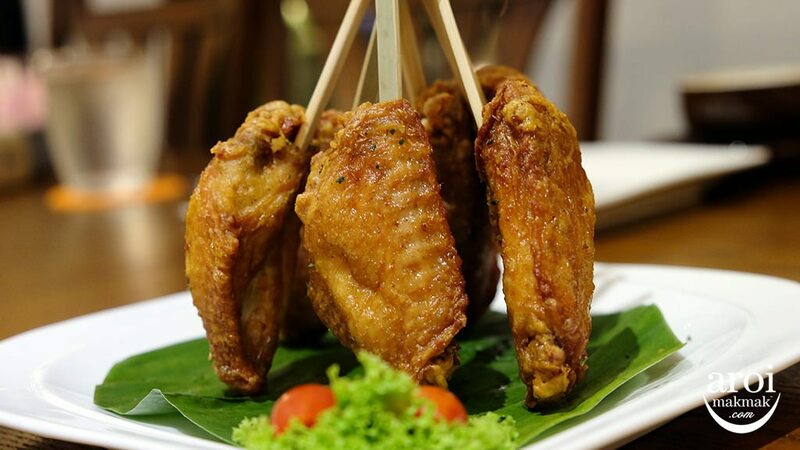 Gai Tod (Fried Chicken). This is a MUST ORDER! The fried chicken is prepared and cooked very well. The meat is just so tender and juicy. It’s addictive! 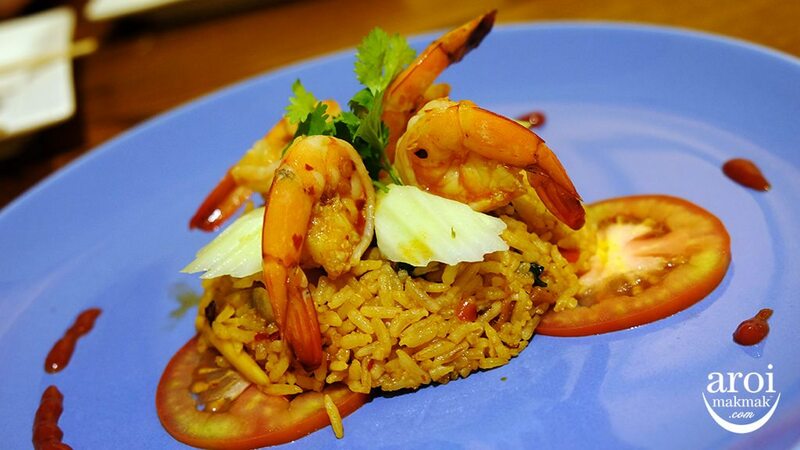 Tom Yum Fried Rice. This is the best Tom Yum Rice I have eaten in recent years. It’s nice because they use real ingredients and not paste. I even found bits of lemongrass while eating the rice. 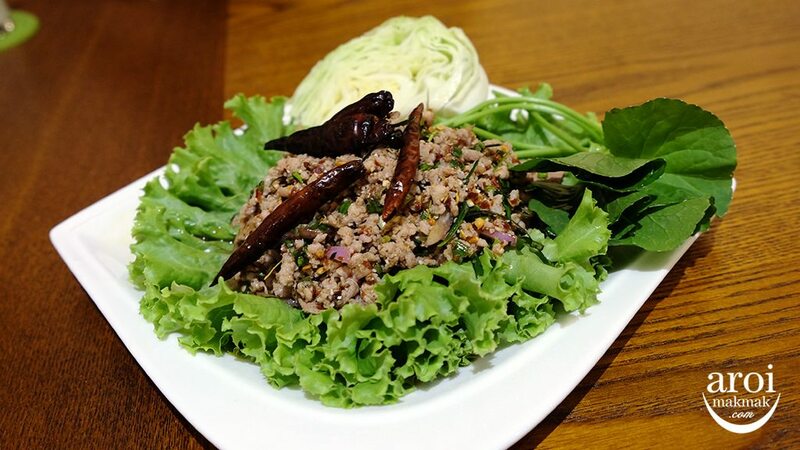 Larb Moo, a popular dish from Isaan. 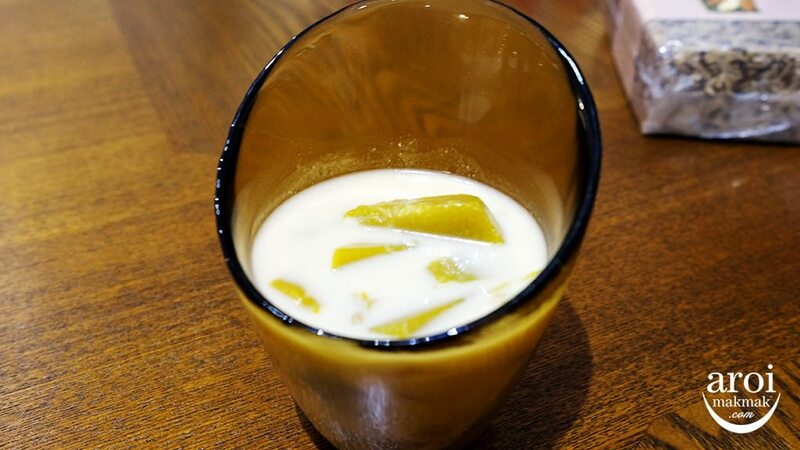 Ending our meal with some sweets, Pumpkin in coconut. 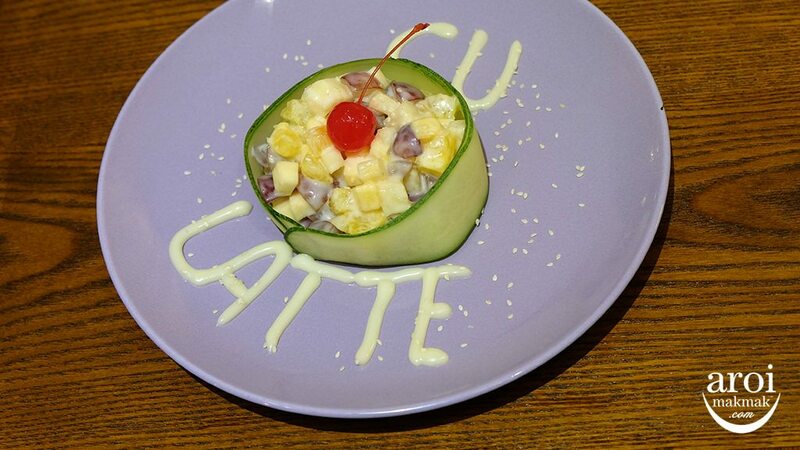 and the refreshing Fruit Salad with CU Latte wordings. Cheers with our Irish Coffee! 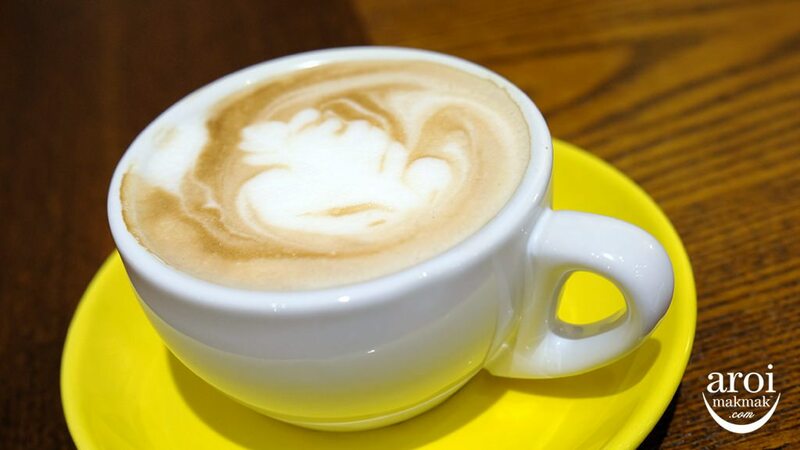 Alcohol + Coffee, can sleep or cannot sleep?! 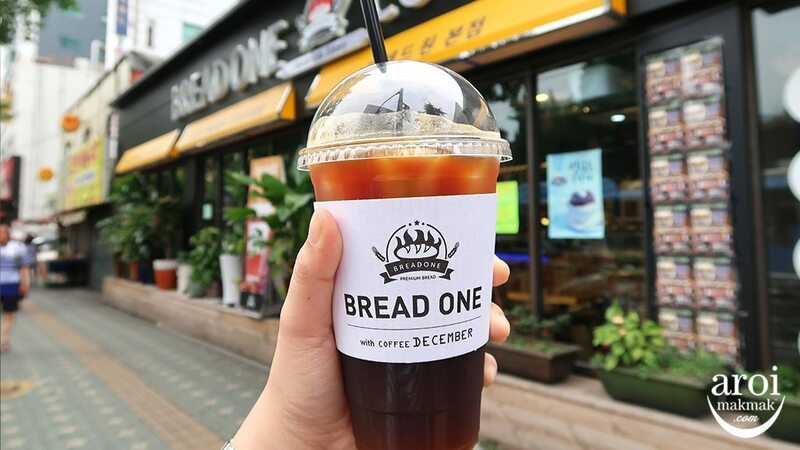 Do support this social enterprise cafe if you are around the area for some good coffee and snacks!